Why Do Orthodontists Use Palatal Expanders? The size and shape of the palate, or upper jaw, has a lot to do with the way your face and smile look. However, the top orthodontists in Sugar Hill know that the palate is responsible for more than your appearance. The shape and size of the palate can also affect the way that your upper and lower teeth fit together, your ability to have straighter teeth, your speech pattern, and even your breathing. When the palate is found to be too narrow, the problem can be easily corrected if it is determined early enough. Before a child reaches puberty, a palatal expander can be used to widen and improve the shape of the upper jaw. By creating a broader, u-shaped arch, the orthodontist can ensure that there will be enough space for the proper alignment and positioning of the permanent teeth. The palatal expander is fitted against the roof of the mouth, next to the teeth and positioned to apply gentle, steady pressure. A small tool called a ‘key’ is inserted into the hole in the center of the expander. When the key is turned, the expander slowly widens, applying more pressure to the teeth. This pressure actually stimulates the formation of new bone in the center of the palate, widening the arch. Once the ideal arch form and size has been established and enough space has been created to accommodate the adult teeth, the expander will be removed. 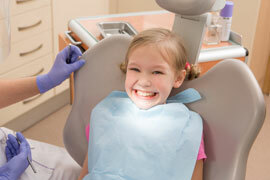 Palatal expansion is a procedure that is carefully customized to the needs of each child. Not all children will require this orthodontic treatment, and the length of the procedure can vary widely. Parents and children will receive the necessary advice and support from the orthodontic team to ensure that the process can be completed as quickly and as comfortably as possible. To learn more about palatal expansion, contact a Sugar Hill orthodontist today. © 2019 Whitney Orthodontics. All Rights Reserved.